Below is provided as digitally translated by Google. History: Formerly part of the old George Pauilhac collection, acquired by the Musée de l'Armée in 1964. 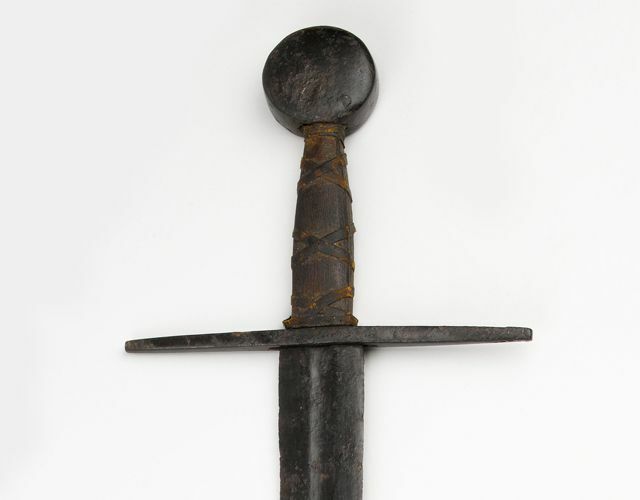 Until the end of the fourteenth century, most swords are designed for fencing size favoring sharp blade. This is still the case of the weapon presented here, the Phillips line of great sobriety. 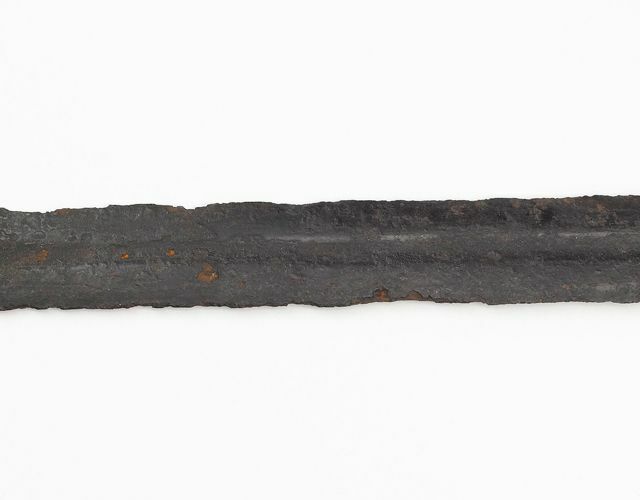 Size, which gives a good "extends" to fighting on horseback, the flexible blade is lightened by a central gutter (picture 3) and ends with a rounded tip. It is balanced by a massive circular knob. Large quillons rights protect the hand, while the rocket timber ligated leather was reconstituted (picture 2). 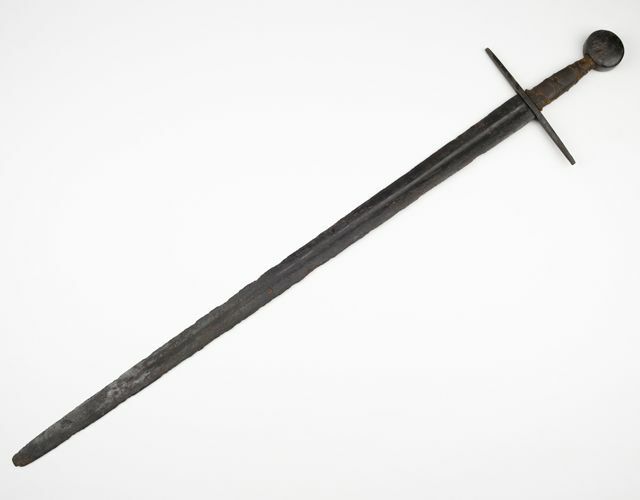 By its silhouette, this weapon is still very close to the swords of the thirteenth century and still does not reflect the "revolution" of the warrior fencing that will emerge in the fourteenth century, with the adoption of rigid protections and the generalization of "armor White".